The Gauteng Department of Social Development on Monday launched the first of 20 job centres to address unemployment and poverty among the province’s youth. The job portal – called Lulaway Job Centre – is a walk-in facility equipped with computers and manned by trained young graduates on Louis Botha Avenue in Johannesburg. The department plans to register and train 8000 young job seekers by the end of this 2012/13 financial year. Of these, 5000 will be placed in various permanent positions in the private sector and more than 107 private sector companies have pledged their support for the project. At the centre, young job seekers will be able to register on the job portal, receive career guidance, conduct screening tests and be assisted with job placement and job counselling. Free assessments are offered to ensure that young people pursue careers that complement their strengths. 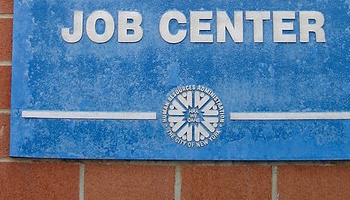 The department’s spokesperson Sello Mokoena explained that one of the unique features of the job centre model was to ensure that entry level positions were only available to the unemployed youth. “We intend establishing 20 job centres throughout the province,” he said, adding that some of the areas that will benefit from the project include Thembisa, Khutsong, Kagiso, Kwa-sokhulumi, Devon, Mamelodi, Diepsloot and Sicelo (Midvaal). “The centres will be housed in existing development centres, Thusong Centres and Business Enterprise Centres as they are closer to communities,” he said. Mokoena said it was important for job seekers to possess skills such as problem-solving, creativity, synthesis and analysis. “We need to increase access to information and to ensure that job seekers are equipped with the relevant knowledge and marker related skills,” he said. Mokoena said given the unemployment level in the province, employers would have to engage young job seekers, and ensure that they have suitable credentials and practical experience to advance the economy, and to improve their lives. He said job centres should be seen as a part of a greater strategy for ensuring that young people survive the challenges of the globalized economic, as Gauteng is part of the international job market. Mokoena said too many young people find themselves locked into poverty and unemployment because of ignorance and lack of information. “We urge them to make use of government services and to make informed decisions, which is why we have initiated this project.